“Know who you are, know your strengths” — I’ve worked on this my whole life and it has served me well. “Know who you are, know your strengths” — I’ve worked on this my whole life and it has served me well. I truly do know who I am as a leader and embrace my strengths. When I started in sales, I thought I wasn’t a natural salesperson. I wasn’t someone you meet and think, “Wow. That person could sell you anything.” However, I was an effective leader with excellent knowledge and follow through, and this allowed me to be extremely successful in sales. It’s an evolution in my life, knowing who I am and embracing that. 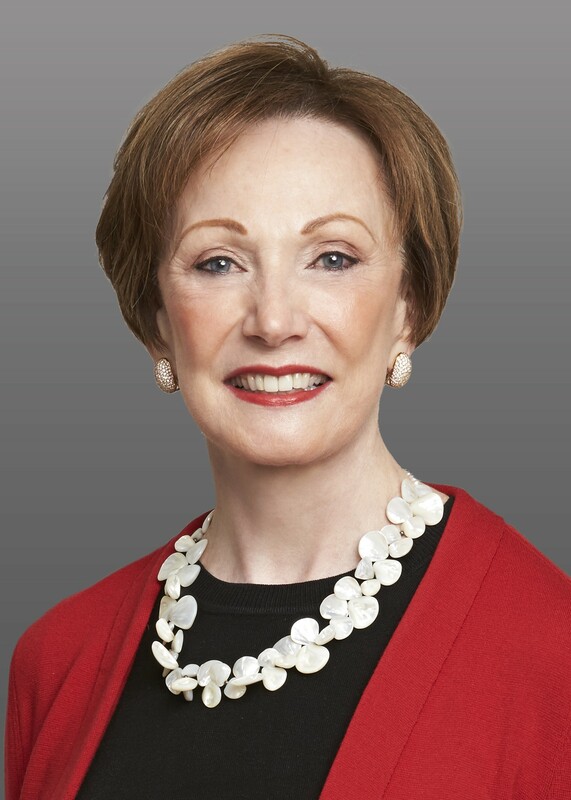 I had the pleasure of interviewing Diane Ramirez, Chairman and CEO of Halstead, a leading residential real estate brokerage firm in the New York metropolitan area. Under her thoughtful and careful leadership, Diane has strategically grown the firm from its original goal of three storefront offices in the most important communities in Manhattan to its current size of nearly three dozen strategically located offices with 1,400 agents throughout Manhattan, Brooklyn, Queens, the Bronx, the Hamptons, Hudson Valley, New Jersey and Fairfield County, Connecticut. My backstory, in terms of my career, is almost opposite of what you hear from most businesswomen today. I married and started my family young, before I focused on my career. Throughout my life, I have always had a great passion for business and a strong desire to do something important. I never wanted to just be “Mrs. Ramirez.” I wanted to also be recognized as Diane Ramirez, and my amazing, supportive husband understood that. My background was in marketing and advertising but I knew I didn’t want to go back into a corporate environment. I knew I wanted to do something meaningful. I was always class mother and involved with my children and often thought about what I could do to leverage the strong connections I had made. Having already bought and sold a couple houses, I had a strong network through my husband and my children’s friends’ families, and thought my life was well-suited for a career in real estate. It really was a perfect fit. When my kids went off to boarding school, I started my own firm. I had them settled, my husband was in a great spot, and I could really focus on my career. I was passionate about real estate from day one and never lost that passion. I literally skip to work every day! I had become a very successful real estate agent and wanted to up my game, so I sought out what other companies had to offer. When I looked at the competitive field, I saw what other firms were not doing well — things like marketing, innovation, and investing in technology — and I identified an opportunity to start my own firm and do things differently. My co-founder, Clark Halstead, and I set out to disrupt the real estate industry and we did just that when we launched Halstead in 1984. I’m proud to say that we have continuously evolved the firm ever since. We’ve always been at the forefront of innovation from a marketing and technology standpoint. Back in the 80s, we had very unique marketing ideas considering everything back then was essentially just classified strip advertisements. For instance, we debuted a branded London taxi that drove around New York City like a rolling billboard. We were also the first real estate firm to nix the industry-standard index cards and go completely computerized. We even had a huge computer in our London taxi. Halstead broke the ceiling from a marketing standpoint, and it was the industry’s turn to up its game to remain competitive. Since then, we have firmly maintained our commitment to innovation and incorporating sophisticated, cutting edge technology into our business. We have moved from computers in cars back in the 80’s to today, with our property marketing featuring things like the use of drones and film-like lifestyle videos. Recognizing the need to continuously evolve, we executed a comprehensive re-brand for Halstead this past spring (the second major re-brand I’ve overseen at the firm since we first launched in 1984). This re-brand was very forward thinking within the real estate industry and beyond, and we are thrilled by its success and how much our agents and customers have embraced it. Halstead’s new look is bold, contemporary and memorable. The visual identity includes a logo that is multidimensional and flexible, just like Halstead agents. In an out-of-the-box move, we also developed regional color palettes for our various markets — Manhattan, the outer boroughs, and the suburbs — to allow each of their unique nuances to shine. As we expanded over the years, we came to understand that suburban and urban markets can be very different and what works for one might not work for the other. These regional palettes are anchored by our corporate colors — a monochromatic palette of grays — maintaining a strong connection to the core Halstead brand. We also adopted a new tagline “Move to what Moves you,” which we believe speaks to what our agents do each and every day: helping clients make some of the most significant changes in their lives. Additionally, though strategic partnerships are not unique to our firm, the way we incorporate them into our company is unique. We have developed exclusive strategic partnerships with brands like Audi and the Yankees, and work closely with them to bring added value, such as access to an amazing Halstead-branded lounge at Yankee Stadium, special events with Audi and affinity discounts to both our agents and customers. They are two truly incredible brands to be affiliated with. My father, who had a great importance in my life, passed away when I was a teenager. He was a very quiet man but had a very forward way about him. He always encouraged me and instilled a mindset in me that I could do anything. This has influenced all aspects of my life, both personal and professional. Clark Halstead, my partner, is a visionary leader. I watched him while he was at the helm of the company and really applied what he taught me when I took over Halstead back in 2000. You must really look over the hill, not just at what’s in front of you, in order to be innovative and be at the forefront of anything. A great deal of thanks goes to him and his visionary leadership. Lastly, my husband. He has built his own very successful investment banking firm. He taught me to treat all people in a very respectful and kind way, no matter their role in your company or your life. That’s something that has truly been great in my life, and I’ve seen it creates a true affection amongst people. Having him open my eyes to that has been very meaningful to me and served me well. You should never allow yourself to be content. We have continued to grow our footprint across the tri-state and we have continuously expanded our national and global reach through our prestigious affiliation with international organizations, such as Leading Real Estate Companies of the World. Working with them makes Halstead a truly innovative and far-reaching company. We are always seeking partnerships and opportunities that will enable us to expand and evolve while maintaining the unique Halstead culture we’ve developed over the years. Can you share some of the best words of advice you’ve gotten along your journey? Please give a story or example for each. “Say what you’ll do and do what you’ll say” — I’ve always wanted to be someone people could rely on, and I believe I have proved that to my colleagues. Following through on your word is one of the most important things you can do for building a foundation of mutual trust. In doing so, I also genuinely strive to treat people with the respect they deserve. Whether it’s the person who comes in at night and tidies my office or a top executive, I embrace them and thank them. A book written by a friend of mine who I greatly admire, Mike Staver, “Leadership Isn’t For Cowards: How to Drive Performance by Challenging People and Confronting Problems,” has had a profound impact on how I lead my company. I love to read, and I particularly enjoy books that enhance my thought process. Mike’s book is about how to lead courageously and drive performance. It also focuses on creating a great culture, which is very important to me and I believe is one of our strengths at Halstead. Since I took leadership of the firm in the early 2000s, we have grown immensely, with 1,400 agents in over three dozen offices across three states, and it’s still so important to me to maintain a strong culture. This can be incredibly challenging when you’ve grown the way we have, but our culture is something we haven’t lost. Mike’s take on workplace culture is the practical advice I look to every day. I would love to meet LeBron James. I’m a huge sports fan and very faithful to my New York teams. I admire him, even though he didn’t come to New York when he left the Heat a few years ago. I’d like to ask LeBron how he maintains his balance in life with such incredible integrity, and how he makes the decisions to do what he’s doing. He is very community-minded, really steps up to the plate, and has been so involved with schools and a wonderful bicycle campaign. He’s always done it. He’s still married to his high school sweetheart, has children, and is just seems to be solidly there in a wonderfully quiet way.